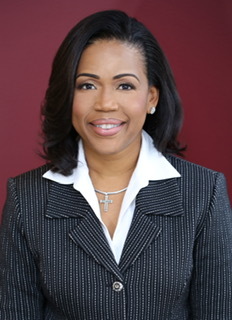 Gisele currently serves as EVP, Strategic Initiatives &Operations/Chief Operating Officer - St. Louis Regional Chamber. The organization's purpose is “To Inspire a Greater St. Louis” via economic development (bringing more jobs and people to the region) and workforce talent and development. She partners with the CEO and leadership team as the driver of day to day, quarter to quarter strategy execution, operations and resource allocation across the entire organization. Gisele has always boldly welcomed new challenges to blaze her own trail. Prior to working at the Chamber, she was the Account Director – West Region at Cushman & Wakefield appointed to lead high performance teams, to delivery integrated, innovative and differentiated solutions in the facility management/corporate real estate industry in both northern and southern California. Formerly she held several positions with Johnson Controls including Global Operations & Americas Group Account Leader with responsibilities for the operational oversight of their $800M Financial Services business. Additionally, as Transition Director, she led the operational mobilization of new business valued at $100M for a client in one of her favorite countries to live and work, South Africa. Gisele led a 70-person high performing team and authored two patents at Ameritech (now AT&T). Gisele navigates corporate networks well, demonstrated in the 18 months since she moved to St. Louis, and writes online articles related to the topic. Along with many professional accolades, Gisele demonstrates commitment to civic leadership: Vice President - Harvard Business School Alumni Club of St. Louis, President - Black Repertory Theatre’s Board of Directors, and Chair of a $1M Scholarship Endowment at Syracuse University. Most recently she has been honored with a Phenomenal Woman award by Radio One's 95.5 and the Wonder Woman award by the St. Louis Small Business Monthly. She has an endowment in her own name at the Whitman School of Management at Syracuse University. Gisele has always been an advocate for voiceless children within foster care/adoption programs, serving as Board Treasurer for the Child & Family Institute.